March is over and along with it our development bounty program for the month. A huge thanks go out to our talented community developers who are continuously helping us out! We remain deeply thankful for those who contribute on regular basis and are always thrilled to see new faces. Be sure to spread the word about our bounty program with your developer friends. Don’t know what this is about and want to get involved? We have several issues that have fixed bounties assigned to them (tier 0 and tier 1). You can see the list here and choose one to tackle by requesting assignment of it on Github. In the upcoming weeks you can expect much more of the predefined tier 0 and tier 1 tasks (not just in ARK Core and ARK Explorer repos, but others as well). We will list them in their respective repositories along with posting them here monthly. 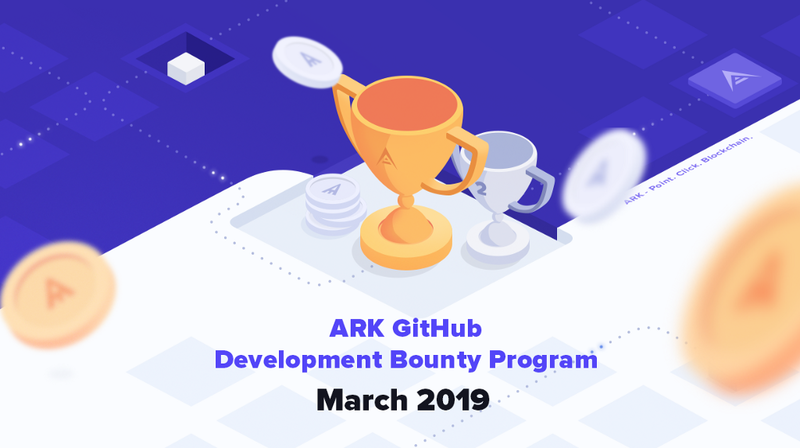 And here are the participants and winners of the March 2019 Github development bounty program!